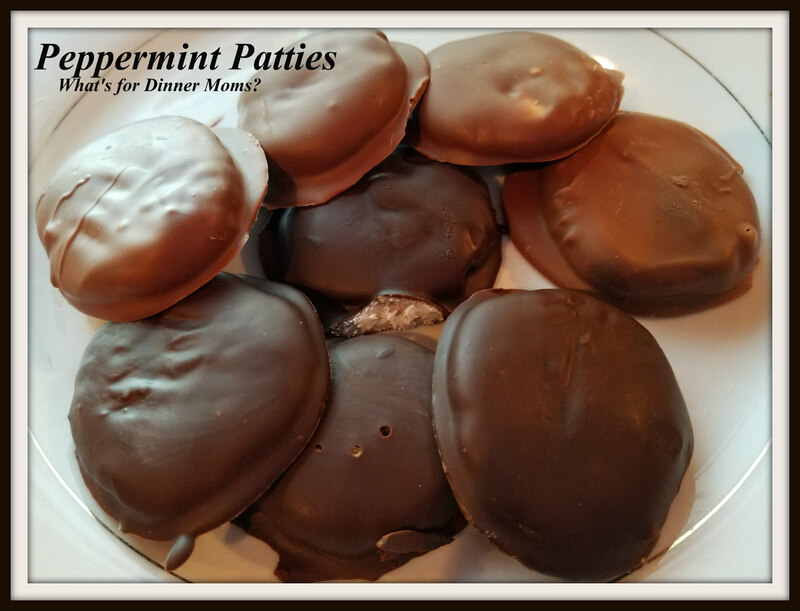 Homemade Peppermint Patties – What's for Dinner Moms? My family loves Peppermint Patties. I don’t know why I didn’t think of making them before. I made half with a bittersweet dark chocolate and half with a milk chocolate. My children tend not to like dark chocolate unless it is a REALLY good brand. I had some Baker’s chocolate so I didn’t know how that would be for them so I decided to make half with milk chocolate. They loved both of these. I preferred the dark chocolate but I really like peppermint with dark chocolate. These were so simple to make and kept well in the refrigerator for several days. I will definitely be making these again. They would make a lovely Christmas gift for friends and family. I may even drizzle them with some red and green colored white chocolate to make them festive! Combine butter, corn syrup, extract and powdered sugar in a mixing bowl. Beat together for about 3 minutes, until ingredients are well combined and form a solid. Remove dough from bowl and break off about half-dollar sized sections. Roll into a ball and gently flatten with your hands. Put patties down on a pan lined with wax or parchment paper. Once all patties are made, place pan in the freezer for 10-15 minutes. Melt chocolate in microwave or over a double boiler. Let sit for an additional minute in the microwave or over a double boiler to cool a bit. Remove and gently stir. Remove peppermint patties from freezer. Use a fork to dip each patty in the chocolate, flip to coat the other side, then tap on edge to remove any excess. 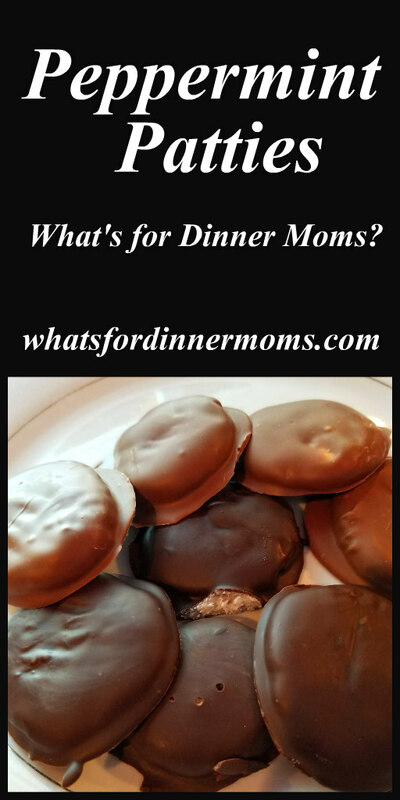 Transfer chocolate coated patties to wax paper to cool. They look so perfect and yum! Thank you! They were so easy I cannot believe we don’t make them more often. That sounds so easy! I am surprised!! Ummmm, how much powdered sugar? Bahaha! Thank you! 6 cups. No matter how many times I read something I miss something. Thank you! They were so simple and delicious! I just found out im allergic to chocolate its been a thorn causing migraines…I ecen tried dark exlensive puruvian cacao with no sugar….still migraine..ughh miss my chocolate but not the migraines. Oh no! I have heard of chocolate and soda doing that. Hope it stops soon. It’s all good now..Thank you.. These look so yummy, Marci. I think I will try these for Easter. They would be so delicious! I love that you can add as much peppermint as you like to make them stronger too! Pingback: Happy Easter! Top 5 Recipes for March 2018 – What's for Dinner Moms? Goodness .. these look and sound divine! !